Bordering both the Atlantic Ocean and the Mediterranean Sea, what sets Morocco apart is its diverse cultural influences; Berber, Arabian and European powers have all held this land, each adding to its history and charm. A place where adventure and tradition come together in perfect harmony, you'll find everything from fiery-red Saharan sand dunes to bustling souks whilst on our Morocco escorted tours. With the mighty Atlas Mountains towering into the clouds, it’s easy to see why some of the world’s most powerful civilisations were attracted to Morocco. Today the country is just as popular with overseas visitors: tourists looking for excitement of all kinds can't go wrong here! If you're interested in making a Moroccan journey, Travelsphere has got what you need. 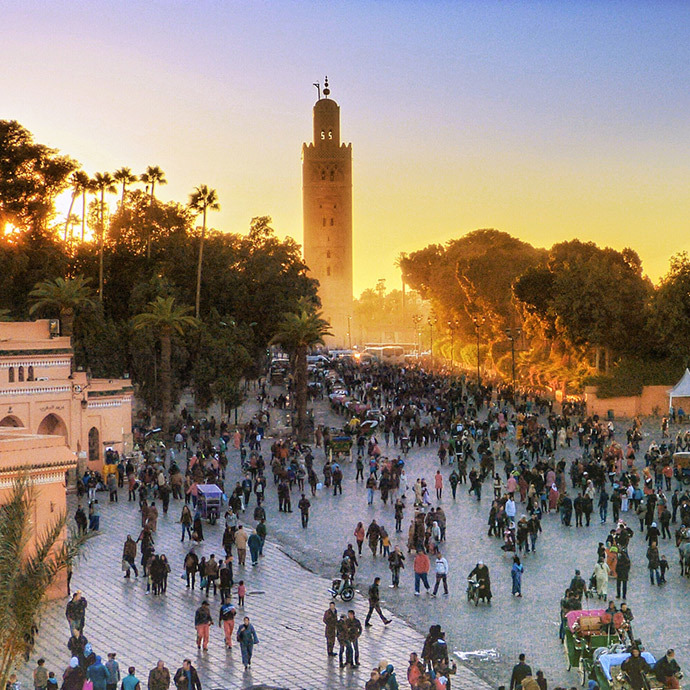 You’ll traverse all this unique country has to offer; from the coastal charm of Casablanca to the bustling buzz of Marrakech, there’s something for everyone in Morocco. Whether you're most excited by the jaw-dropping natural landscapes of the Todgha Gorge and, of course, the magnificent desert or you can't wait to see the Roman ruins at Volubilis and the awe-inspiring architecture at the royal city of Meknes, our Morocco holiday packages cover all bases, ensuring no one misses out. Experience Morocco with Travelsphere and enjoy an adventure like no other as you explore this fascinating nation!